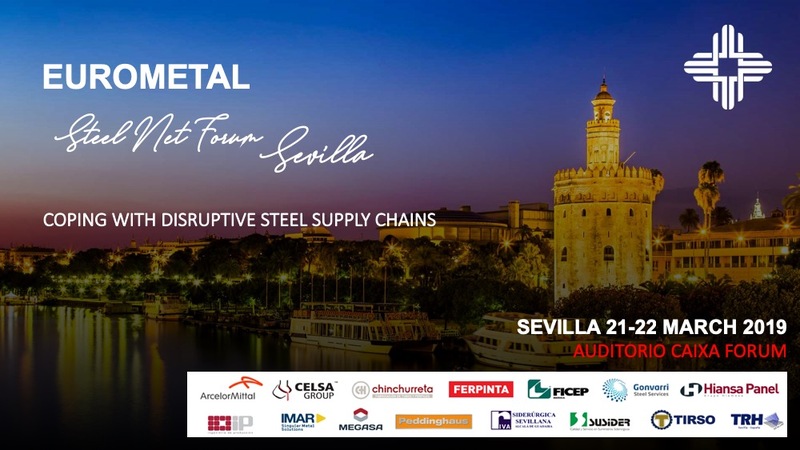 EUROMETAL together with UAHE and AÇOMEFER organize the next EUROMETAL Steel Net Forum Iberia in the city of Seville on 21st and 22nd of March 2019. The event will start with the Welcome Dinner at the Alfonso XIII Hotel Seville on March the 21. The following day will be held in the Auditorium of the Caixaforum.